Vice President Joe Biden said in a live interview with Miami public radio station WLRN Thursday that the Obama administration - not the Bush administration - now has ownership of the struggling U.S. economy. Biden said Americans have "good reason to be upset" because they lost jobs because of the recession, "something they didn't have a thing to do with creating." "Even though 50-some percent of the American people think the economy tanked because of the last administration, that's not relevant," said the vice president. "What's relevant is we're in charge." The economic recession began during the final year of the Bush administration, and polls show many Americans continue to blame Mr. Bush - not his successor - for the current economic situation. A CBS News/New York Times poll over the summer found that 26 percent of Americans mostly blame the Bush administration for the state of the economy, while just 8 percent blame the Obama administration. "Right now, we are the ones in charge, and it's gotten better but it hasn't gotten good enough," Biden told WLRN. "...I don't blame them for being mad. We're in charge. So they're angry." 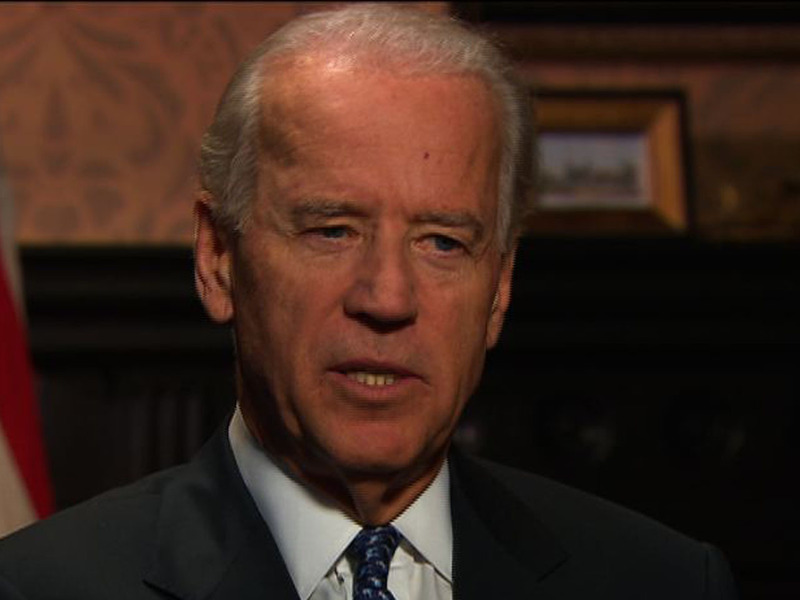 Biden said it is "totally legitimate" for the 2012 presidential election to be "a referendum on Obama and Biden and the nature and state of the economy." He said Americans will need to make a choice between what the Obama administration is offering to address the problem and what is being offered by the eventual Republican nominee.